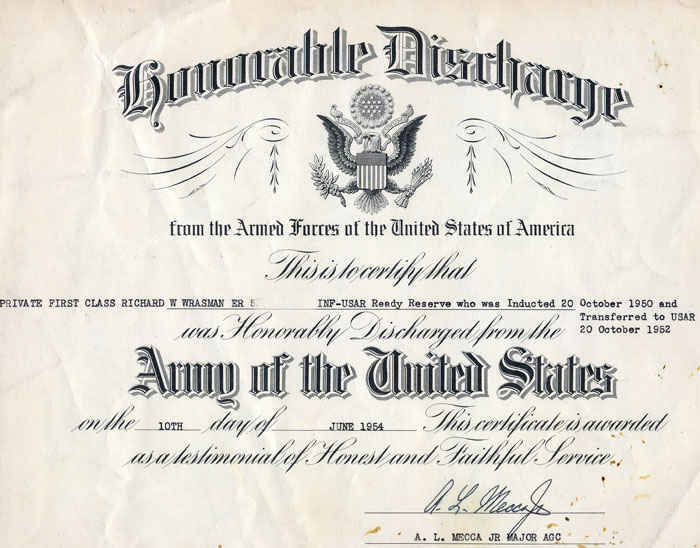 6/10/1954 With just 2 years left to serve in the Army Reserve Richard Wrasman enlisted in the Air Force because he did not like the Army. 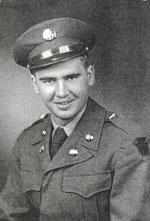 He would be required to server just 2.5 yrs in the Air Force to complete his service to his country. 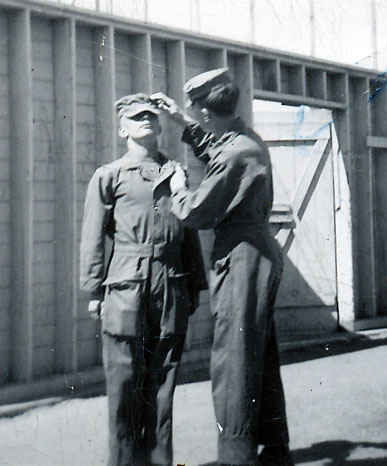 The commitment was to put 6 years in the Army and Richard was not up for that so he enlisted in the Air Force to force a discharge from the Army. 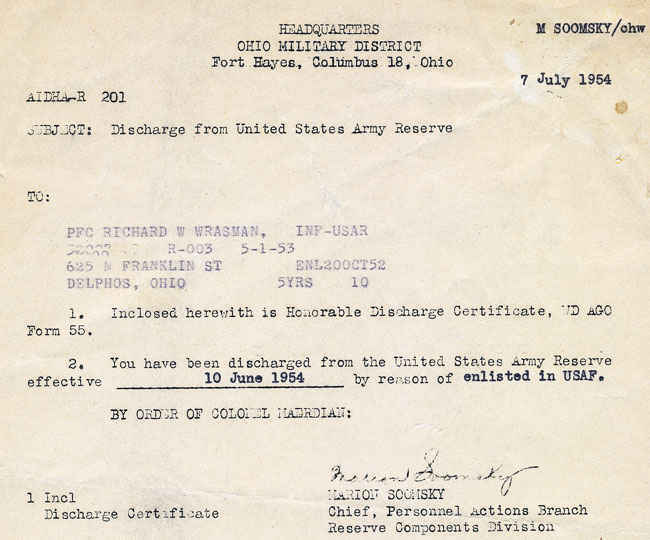 Honorably Discharged on October 20 1950 and transfered to Army Reserve. 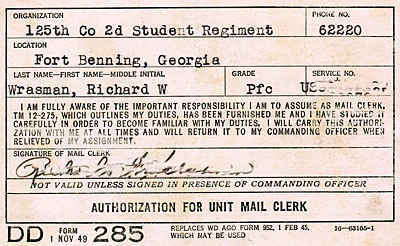 125th Company 2nd Battaltion Student Regiment. Fort Benning, Georgia. Richard Wrasman. 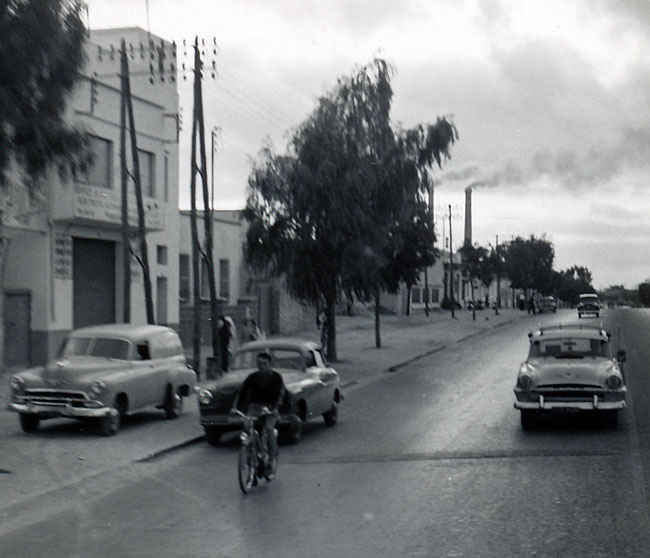 Richard is to the right. 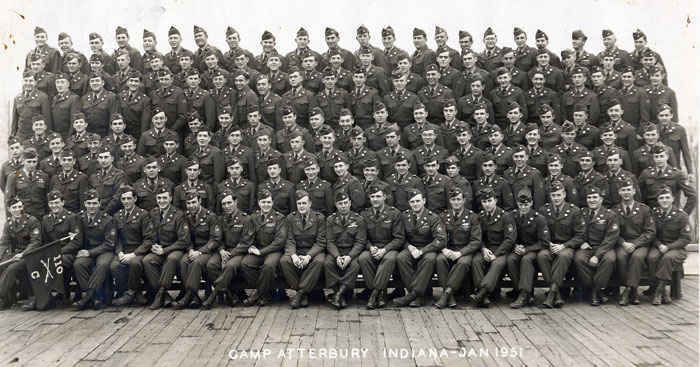 Basic Training, Camp Atterbury, Indiana 1951.